Asthma is a long-term (chronic) condition and it’s the most common long-term condition to affect children and young people. Regular checkups with healthcare professionals are necessary for chronic conditions, and in the case of asthma, there are several options of highly effective medicines. Asthma medicines – such as preventer and reliever inhalers – allow most people with asthma to live active, healthy lives without their asthma getting in the way. For the medicines to work, it’s important that people take their medicine as prescribed and, in the case of inhalers, that their technique for taking the medicine gets the medicine to the lungs, where it can work. Healthcare professionals are still the first point of call for advice on how to deal with a long-term condition. For the day-to-day management, however, patients can make use of several tools. Some can be low-tech and simple, for example, a note on the fridge door reminding to use the inhaler. Or you can link taking a regular inhaler to regular habits, like tooth brushing, by putting inhaler and toothbrush in the same place. The My Asthma in School Programme team includes healthcare professionals, academics, and science communicators to create a programme that covers healthcare needs and designed to engage participants. Also involved in developing the workshops were film and theatre professionals, and young people, who we consulted throughout to make sure we were developing something that is relevant and relatable for them. So, we know why we think our programme is great, but we wondered, what exactly is it about the programme that interests schools? 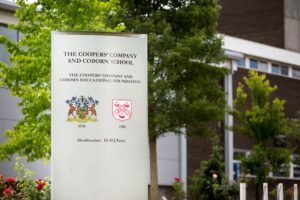 We asked Mr Nick Galvin of The Coopers’ Company and Coborn School in Upminster what prompted him to sign up his school. Nick is a Senior Laboratory Technician and the school’s STEM (Science, Technology, Engineering, Maths) Coordinator. Today, the 1st of May, is World Asthma Day, organised by the Global Initiative for Asthma. 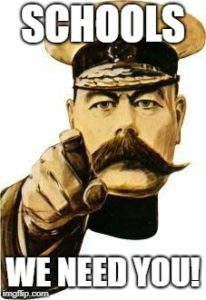 So, we want to take the opportunity to put out a call to action to London secondary schools to get involved with our initiative to support the health of your students.